International College Organize meetings of the Planning and Quality Assurance Department to develop operational capabilities. Home > News > PR News > International College Organize meetings of the Planning and Quality Assurance Department to develop operational capabilities. 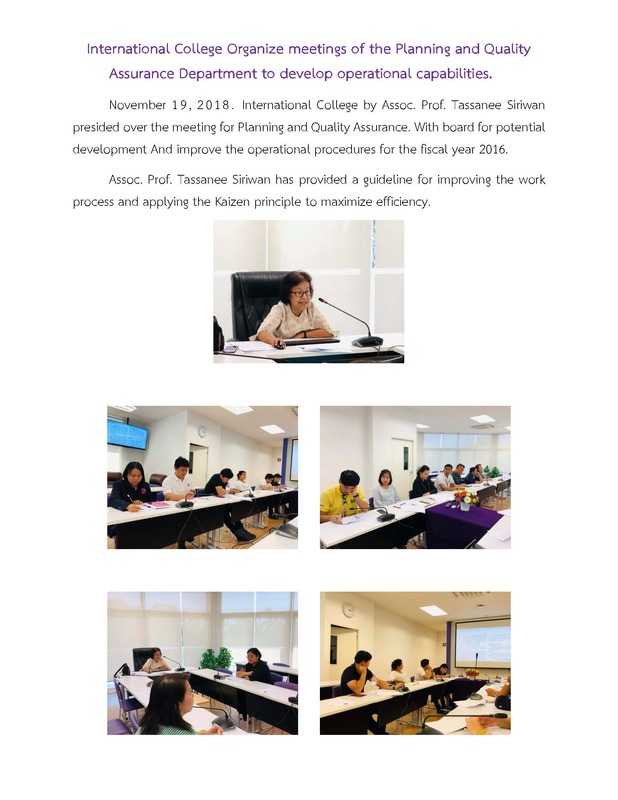 Download PDF International College Organize meetings of the Planning and Quality Assurance Department to develop operational capabilities News.